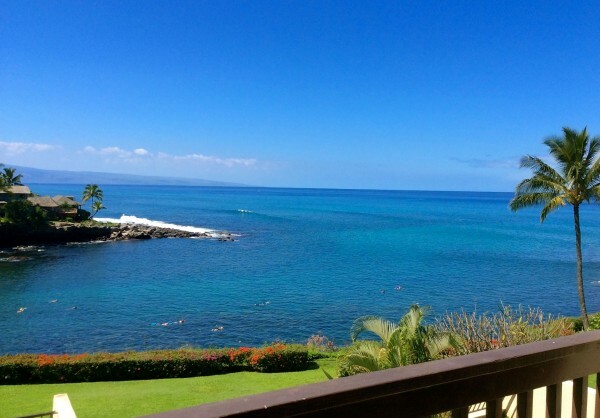 We just recently listed Napili Point C-31, which is a fee simple two bedroom, two bathroom, fully furnished vacation rental for sale in one of upper West Maui's most desirable oceanfront complexes, Napili Point. Napili Point is well known for its breathtaking natural beauty and the wonderful ‘ohana of owners who reside there. We just listed this property for $965,000 (MLS# 359296). Unit C-31 was the original developer's unit and is arguably the top location for any fee simple two bedroom unit within the complex. The 180 degree view is simply stunning - the vistas from the lanai are varied and unobstructed. The covered lanai, kitchen and living area, and guest bedroom is on the first floor, and the master suite is located on the upper level loft area. This is a fully furnished vacation rental property rented as a top tier category through the front desk rental operation. The B-building where this property is located does not back up to the Lower Honoapiilani Rd. and, thus, there is no road noise from the property. Lastly, the back guest bedroom has louvered windows, which allows the crisp cool tradewind air with scents of Norfolk pine trees coming from Kapalua to keep the residence at a very comfortable temperature, and, yet, the covered lanai area experiences very little wind itself, so is perfect for relaxing and entertaining. Currently, there are a total of 5 units currently for sale at Napili Point. Here is a complete gallery of these listings: Napili Point Real Estate Gallery. When standing on the lanai looking left, you have the lush West Maui Mountains directly ahead, you have the crystal clear water of Honokeana Cove, and the silhouette of the Island of Lana'i in the backdrop; and looking right over the meticulous grounds of the complex, you have the rugged and verdant sea cliffs of Molokai. Napili Point, true to its name, being situated on a point directly abutting Honokeana Cove to the South (toward Lahaina) and Napili Bay to the North (toward Kapalua). 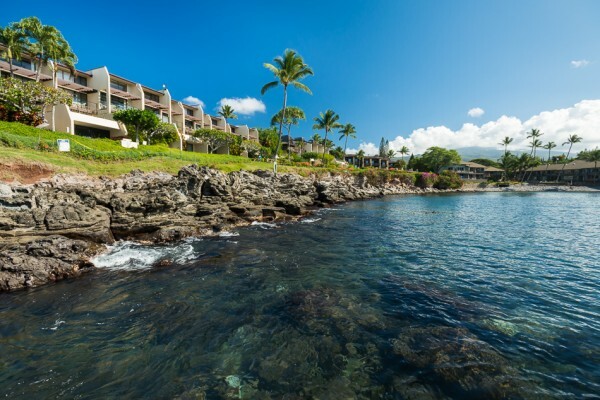 This is direct oceanfront Maui living in some of the most magical waters in the world. I personally love Napili because it is very lush and considerably cooler than Lahaina town, it very much reminds me of where I grew up in Haiku on the northeast end of the island. You will also experience year-round sunsets between the islands of Lana’i and Molokai’, which in themselves are impressive to gander at. If that wasn’t enough, the lush West Maui Mountains are sure to sooth your senses as you turn your back to the ocean and look back inland. For the vast majority of the year, Honokeana Cove is an unbeatable location for swimming, snorkeling, and diving with a vibrant reef and turtles that are the size of most electric cars – there always seems to be at least a few just hanging out with all the snorkelers in the cove. The Seller of this property has enjoyed the incredible setting of this property for the past couple of decades, whether it was cooking steaks on the oceanfront grills, long boarding and SUP at "Little Makaha" and "Hole in the Head," or doing SUP down winders towards Ka'anapali - he calls this the "ultimate ocean paradise in Maui" - it's tough to argue otherwise. Napili Point is a low rise, two-story complex that has classic Hawaiian architecture that is understated, yet elegantly accentuating all of the striking scenery. Like many of the complexes in Napili and Kapalua, Napili Point is suited for a more mature demographic who appreciates tranquility and relaxation rather than all of the excitement in Lahaina and Ka’anapali. Many guests and owners appreciate the fact that you are not in a ten-story concrete building; it lends itself to a much more intimate and authentic Hawaiian experience. One of the major benefits of this property is that the current owners purchased the fee interest in the property a couple years back, which means that you have an undivided and proportionate interest in the underlying land of Napili Point. Many buyers are uncomfortable with leasehold real estate, and it can also complicate a purchase if financing is involved. Many owners at Napili Point choose to rent their property out throughout various vacation rental operations, which is legally permitted for this complex. The front desk operation does have a successful program, but owners are not required to participate in this program. Because there is a front desk operation, Napili Point is considered by lenders to be a condo-tel type property, and, thus, has more stringent financing requirements. As highlighted in the above feature video, Napili Point is located within 5 minutes walking distance of the stunning and very popular Napili Bay (as well as Kapalua Bay). This bay is incredibly protected, so even when there is some wind at other locations, Napili Bay is still usually perfect. 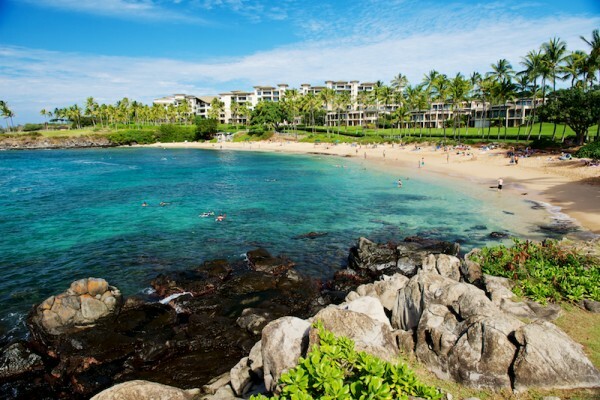 Further North in Kapalua are Flemmings Beach and Slaughterhouse beaches, both of which are incredible white sand beaches perfect for relaxation, boogie boarding, and snorkeling. The world renowned Honolua Bay is just a bit further, and, in my opinion, is the best location on the island for snorkeling and diving on calm days, and world-class surfing when the swell is up. Excellent breakfast locations include the Gazebo (one the northern end of Napili Point) and the Seahouse Restaurant (located on the northern end of Napili Bay). For fine dining, I would highly recommend Merrimans, which I personally feel has the best combination of a stunning oceanfront location, service, and fantastic food. Both the Plantation Grill and the Plantantion House Restaurant are within short driving distance. Please reach out to me directly if you have more questions, or if you would like to schedule a personal viewing of this property in between rental periods, and I will do my best accommodate. 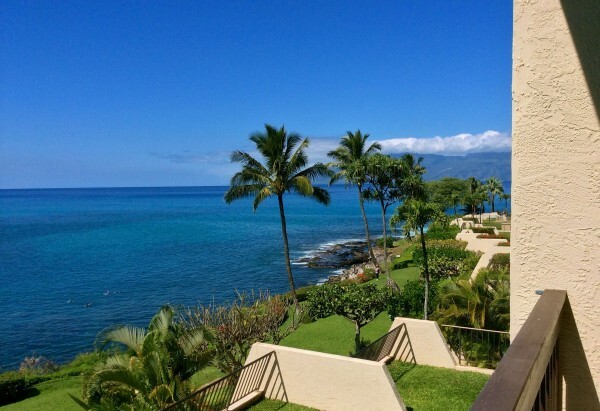 The whales have started to arrive in Maui, but won’t be here for long, just like this property. It’s best that you seize this fine ownership opportunity today. Start creating priceless memories by calling Napili Point C-31 yours.